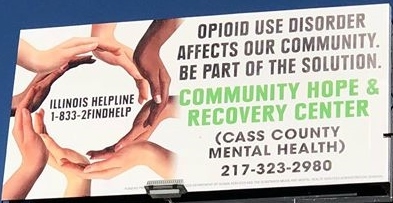 The Cass County Mental Health Association, now known as The Community Hope and Recovery Center, is a multi-setting, non-hospital, mental health facility. CCMH prepares special programs and counseling for Youth with Serious Emotional Disturbance, Adults with Serious Mental Illness, Persons with Mental Health and Substance Abuse Disorders, and Forensic Clients. CCMH provides services to Intellectually Disabled Adults, including a day training center and employment opportunities. They have a Community Care Program for the elderly, which allows individuals the luxury of remaining in their homes. Light housekeeping, shopping, and companionship are the hallmarks of this program. The Community Hope and Recovery Center manages a Community Housing Complex for the Chronically Mentally Ill and provides a variety of services, on site, designed to promote successful independent living.